A BEAUTIFUL day today! Great fishing and great weather! Nice Wahoo! Pretty work guys! https://www.fishthepelican.com/wp-content/uploads/img_2201.jpg 1280 960 Summer Bracher https://www.fishthepelican.com/wp-content/uploads/2018/11/pelicanlogo-circular-3-300x300.png Summer Bracher2017-10-05 17:33:502017-10-05 17:33:50Stocking Up! Looks like this young lady and her fellow gentlemen crew had a fun day on the Pelican! 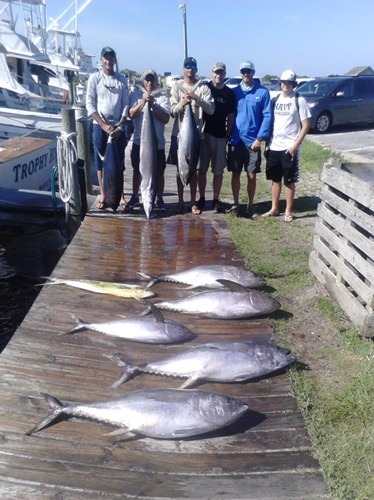 Wahoo and Tuna fun! Great job! Congratulations Jullian for catching this huge Wahoo! https://www.fishthepelican.com/wp-content/uploads/img_1202.jpg 1280 960 Summer Bracher https://www.fishthepelican.com/wp-content/uploads/2018/11/pelicanlogo-circular-3-300x300.png Summer Bracher2017-07-06 17:54:472017-07-06 17:54:4772 LB Wahoo! No Sharks!!! 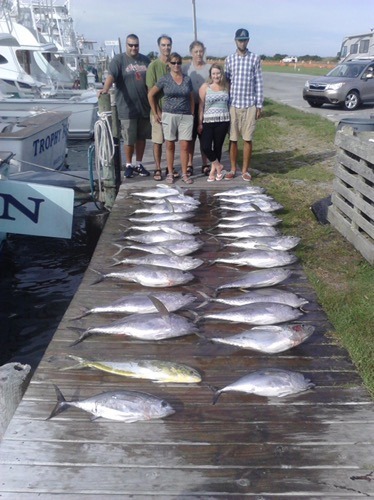 The fleet did great today and we landed a nice catch of Yellowfin Tuna and Dolphin! Gearing up for July fun with excellent reports of billfish and Big Eye Tuna showing up in nice numbers for those boats targeting them. We’re looking forward to it! If there are specific days that suit your schedule for fishing July, I recommend getting those nailed down!!! https://www.fishthepelican.com/wp-content/uploads/img_1032.jpg 1280 960 Summer Bracher https://www.fishthepelican.com/wp-content/uploads/2018/11/pelicanlogo-circular-3-300x300.png Summer Bracher2017-06-15 22:39:012017-06-15 22:39:01A Good Day! It’s been tough lately getting out with windy weather on the days we’ve been booked, but today we made it out and had a nice catch of Blackfin Tuna a nice Wahoo and a Dolphin. We’re looking forward to more action and better weather!! Happy to be fishing!! Great day with a great group! Super catch of Tuna and another beautiful day. Great work crew!! https://www.fishthepelican.com/wp-content/uploads/img_5016.jpg 1280 938 Summer Bracher https://www.fishthepelican.com/wp-content/uploads/2018/11/pelicanlogo-circular-3-300x300.png Summer Bracher2016-10-21 17:44:092016-10-21 17:44:09In The Meat!! 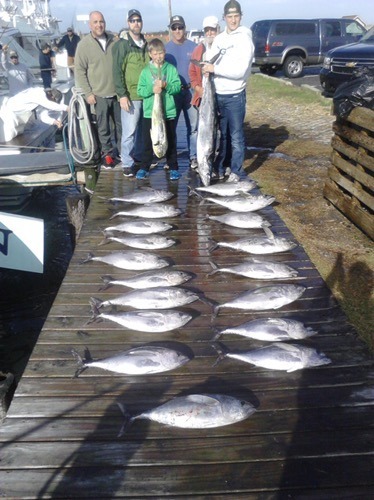 Tuna fishing was excellent today! https://www.fishthepelican.com/wp-content/uploads/img_4773.jpg 500 374 Summer Bracher https://www.fishthepelican.com/wp-content/uploads/2018/11/pelicanlogo-circular-3-300x300.png Summer Bracher2016-10-02 17:39:062016-10-02 17:39:06Loaded Up With Tuna! Fishing is still going strong! !